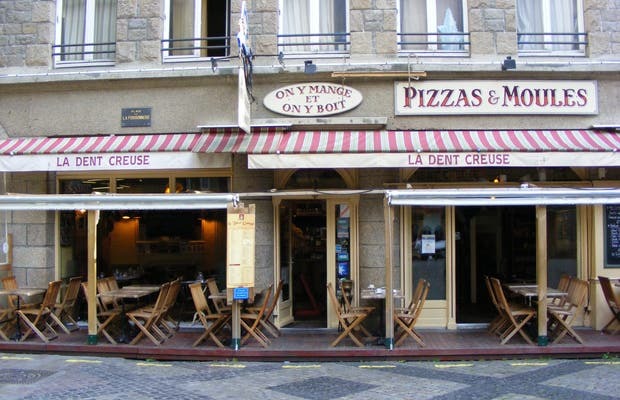 La Dent Creuse is a restaurant-pizzeria in the old town of Saint-Malo. I recommend trying the mussels with roquefort, cream, bacon, mushrooms and croutons - an absolute delight. The dishes are well-presented, generously portioned, and sold for a low price. The staff are friendly, and they'll provide things like colouring activities to keep the kids entertained. They also have an outdoor terrace.